His face perfectly expresse[d] the mixed feelings which gripped him: "real satisfaction," as he would write to Ratzinger, and silent mistrust which he spoke of to the sisters in the Cenacolo convent [of the Discepole del Cenacolo, in Velletri, near Albano] at 3 PM: "If Don Putti [Fr. Francesco-Maria Putti, a Traditional Roman priest and spiritual son of Padre Pio, who guided and formed the sisters until his death in 1984] were here, what would he say? 'Your Grace, where are you going? What are you doing?' "
Yesterday it was with real satisfaction that I put my signature on the Protocol drafted during the preceding days. However, you yourself have witnessed my deep disappointment upon the reading of the letter, which you gave me, bringing the Holy Father's answer concerning the episcopal consecrations. Practically, to postpone the episcopal consecrations to a later undetermined date would be the fourth time that it would have been postponed. The date of June 30 was clearly indicated in my previous letters as the latest possible. I have already given you a file concerning the candidates. There are still two months to make the mandate. Given the particular circumstances of this proposal, the Holy Father can very well shorten the procedure so that the mandate be communicated to us around mid-June. In case the answer will be negative, I would find myself in conscience obliged to proceed with the consecrations, relying upon the agreement given by the Holy See in the Protocol for the consecration of one bishop, member of the Society. The reticence expressed on the subject of the episcopal consecration of a member of the Society, either by writing or by word of mouth, gives me reason to fear delays. Everything is now prepared for the ceremony of June 30: hotel reservations, transportation, rental of a huge tent to house the ceremony. The disappointment of our priests and faithful would be extreme. All of them hope that this consecration will be realized with the agreement of the Holy See; but being already disappointed by previous delays they will not understand that I would accept a further delay. They are aware and desirous above all of having truly Catholic bishops transmitting the true Faith to them, and communicating to them in a way that is certain the graces of salvation to which they aspire for themselves and for their children. In the hope that this request shall not be an insurmountable obstacle to the reconciliation in process, please, Eminence, accept my respectful and fraternal sentiments in Christo et Maria. 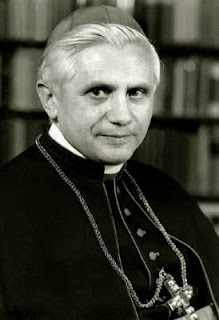 Upon receiving the letter, Cardinal Ratzinger immediately canceled the publication of the communiqué which had been prepared - which explains the scarce report by the secular media of what was taking place. Ratzinger first wrote a note to Lefebvre, asking him to "reconsider his position". I have attentively read the letter, which you just addressed, to me, in which you tell me your intentions concerning the episcopal consecration of a member of the Society on June 30th next. Since these intentions are in sharp contrast with what has been accepted during our dialogue on May 4th, and which has been signed in the Protocol yesterday, I wish to inform you that the release of the press communiqué has to be deferred. I earnestly wish that you reconsider your position in conformity with the results of the dialogue, so that the communiqué may be released. In the evening of May 6, he took Lefebvre's letter to Pope John Paul in the Apostolic Palace. Fr. [Emmanuel] du Chalard brought [Cardinal Ratzinger's] letter to me at Ecône on Sunday morning. I said to him, "Tell the Secretary of the Cardinal that for me the whole thing is finished. I am not changing the date of June 30th. It is the final date. I feel my strength diminishing. I even have a difficulty in traveling by car. I think it would be to put in danger the continuation of the Society and the seminaries if I do not perform these consecrations." I think they will agree to that date. They are too anxious for this reconciliation. 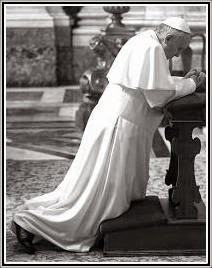 In Rome, on May 24, the Archbishop gave the Cardinal his final request: "Before June 1, let me know the Holy See's intentions as regards the consecration of three bishops planned for June 30 ... . As I wrote to the Pope, one bishop alone will not be enough for the apostolate." 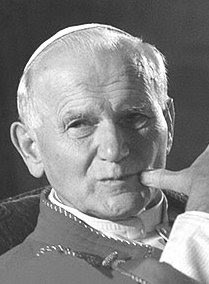 ... John Paul II replied through the Cardinal on May 30: ... as for the bishops, "the Holy Father is ready to appoint a bishop from the Fraternity ... such that the consecration could take place before August 15." The conversations and meetings with Cardinal Ratzinger and his collaborators, although they took place in an atmosphere of courtesy and charity, persuaded us that the moment for a frank and efficacious collaboration between us has not yet arrived. For indeed, if the ordinary Christian is authorized to ask the competent Church authorities to preserve for him the Faith of his Baptism, how much more true is that for priests, religious, and nuns? It is to keep the Faith of our Baptism intact that we have had to resist the spirit of Vatican II and the reforms inspired by it. The false ecumenism, which is at the origin of all the Council's innovations in the liturgy, in the new relationship between the Church and the world, in the conception of the Church itself, is leading the Church to its ruin and Catholics to apostasy. Being radically opposed to this destruction of our Faith and determined to remain within the traditional doctrine and discipline of the Church, especially as far as the formation of priests and the religious life is concerned, we find ourselves in the absolute necessity of having ecclesiastical authorities who embrace our concerns and will help us to protect ourselves against the spirit of Vatican II and the spirit of Assisi. That is why we are asking for several bishops chosen from within Catholic Tradition, and for a majority of the members on the projected Roman Commission for Tradition, in order to protect ourselves against all compromise. Given the refusal to consider our requests, and it being evident that the purpose of this reconciliation is not at all the same in the eyes of the Holy See as it is in our eyes, we believe it preferable to wait for times more propitious for the return of Rome to Tradition. That is why we shall give ourselves the means to carry on the work which Providence has entrusted to us, being assured by His Eminence Cardinal Ratzinger's letter of May 30th that the episcopal consecration is not contrary to the will of the Holy See, since it was granted for August 15th. 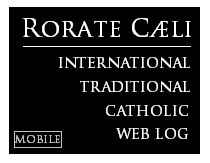 We shall continue to pray for modern Rome, infested with Modernism, to become once more Catholic Rome and to rediscover its two-thousand-year-old tradition. Then the problem of our reconciliation will have no further reason to exist and the Church will experience a new youth. Be so good, Most Holy Father, as to accept the expression of my most respectful and filially devoted sentiments in Jesus and Mary. On June 9, John Paul wrote to him and called his plan "a schismatic act". The Cardinal's secretary met with the Archbishop in Ecône the next day: the long meeting was fruitless. On June 13, Lefebvre had settled on the names of the four priests he would consecrate on June 30: Bernard Fellay (General Bursar of the Fraternity), Alfonso de Galarreta (Superior of the South American District), Bernard Tissier de Mallerais (Secretary General of the Fraternity and who had favored the agreement at the Notre-Dame du Pointet meeting), and Richard Williamson (Rector of the North American Seminary). Maverick Archbishop Marcel Lefebvre announced yesterday that he will consecrate four of his followers as bishops June 30 without papal authority, threatening the first split in the Roman Catholic Church in 118 years. The 82-year-old traditionalist archbishop said he can "no longer trust Rome." Bishop Henry Schwery, president of the Swiss Conference of Bishops, has said such a breach of discipline would formalize a schism. Since on June 15th, 1988 you stated that you intended to ordain four priests to the episcopate without having obtained the mandate of the Supreme Pontiff as required by canon 1013 of the Code of Canon Law, I myself convey to you this public canonical warning, confirming that if you should carry out your intention as stated above, you yourself and also the bishops ordained by you shall incur ipso facto excommunication latae sententiae reserved to the Apostolic See in accordance with canon 1382. We are extremely afflicted by the news, already very much known by all of you, that one of our brothers in the episcopacy, after several such years in which he had denied due obedience to the Holy See and, affected by the penalty of suspension, seemed about to ask for an agreement, will soon move forward with the ordination of Bishops without Apostolic Mandate, and will thus break with the unity of the Church, leading not a few of his followers into a dangerous situation of schism. Because it now seems that neither the will nor the purpose of this our brother may be reversed anymore, we can do no other than invoke the goodness of our Savior, so that he may enlighten those who, while affirming having to defend the true doctrine of the faith against its deformations, abandon communion with the Successor of Peter and are ready to separate from the unity of the flock of Christ, entrusted to the Apostle Peter. We ask him and exhort him with all our heart to remain in the house of the Father and to understand that every truth of faith and every correct mode of life find their place in the Church and that nothing remains standing in it which is contrary to faith. Meanwhile, in Ecône, all was ready for the event of Thursday, June 30, 1988, exactly 30 years ago. The consecrations took place, as scheduled, in a ceremony led by Archbishop Lefebvre and with the presence of Bishop Antonio de Castro Mayer. The Vatican reaction would be firm and swift.